The Dragster – Welcome to InflatedStory.com! 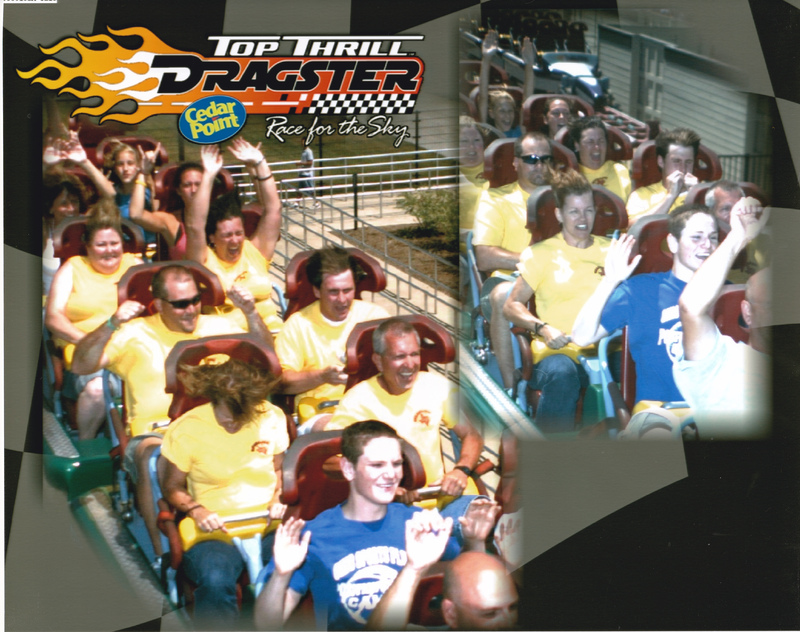 The Dragster lasts 20 seconds and travels at 120 MPH. When I made a balloon dog on it in 2007, it was the tallest and fastest roller coaster in the world. I inflated the balloon while we shot straight up, tied it while we turned the corner, and made the dog while we hurled toward the ground and crossed the finish line. One of the adult chaperons with our group on that Ohio choir tour was so excited about my accomplishment that he generously bought me a copy of the pictures the coaster snapped. If you look carefully you can see me inflating the balloon in the right picture (see the second row on the right side), and you can see my hands twisting the dog in the left picture. 120 MPH. 20 Seconds. No big deal.